I had never experienced loss before May 6. On that day, during my ecology final, I lost my 95-year-old great grandma. I was lucky to know her at all; I always knew that. And I never thought her passing would hit my as hard as it has, but it really does have me thinking. As I was reading this morning, tears welled up in my eyes as I realized this is the first “normal” Wednesday since her passing. Wednesdays were the days I visited her the most. Wednesdays were the days she played volleyball, and I can’t hold back my tears knowing she won’t be playing today. 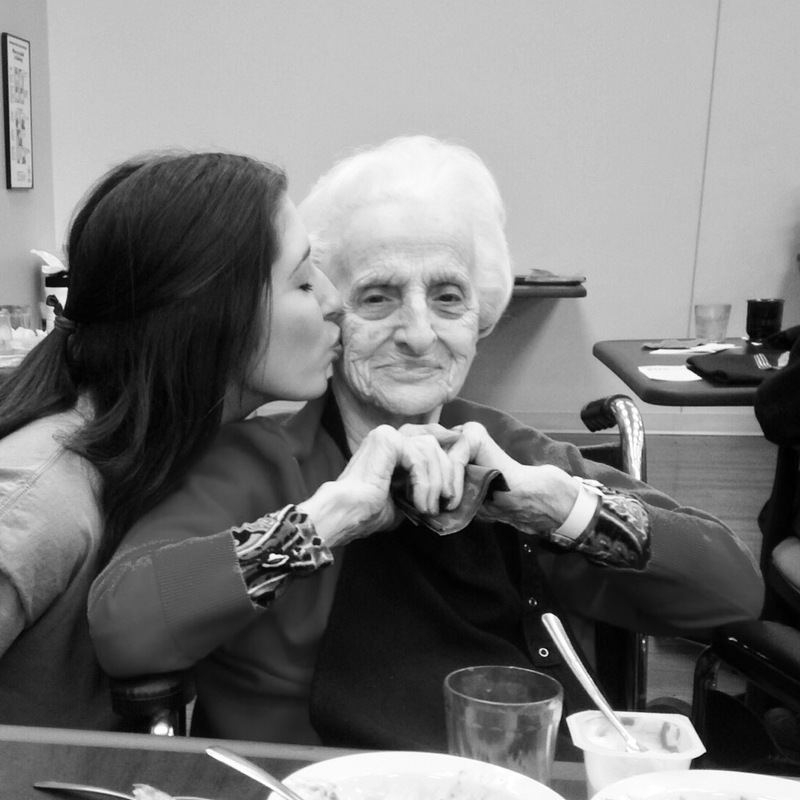 My relationship with my great grandma wasn’t built on advice or even stories from the past. The years that counted for me were the years when her mind had already escaped her and all that was left was her ornery but loving nature. My great grandma was simply someone I looked up to for all she was and all she had done in life, and even with her passing, that image of who she was in her life is as alive as ever. I really feel it alive inside of me. And I’m scared I won’t be able to live up to who she was: a wife, a mother, a sister, an aunt, a woman of God, a friend, a grandmother… A great grandmother. More than anything, I wanted to see the day my great grandma would add one more great to her title and hold my first baby in her arms. But that’s the thing about the future; it’s unknown to us here on earth. I have no idea what God’s plan for my first baby is, just like I had no idea my great grandma wouldn’t be here to see it. There’s something about heaven, though, that I strongly believe in. If God’s plan for me is already laid out, which I know it is, then my relatives from the past and future are together in God’s Kingdom right now. At that, I really lose it, because that means one of the first things my great grandma did when she got to heaven was meet her first great, great grandchild. She really loved babies, and I have no doubt God gave her a special place to take care of the babies in heaven. As I try to bring my thoughts back down to earth, I’m reminded that today, this “normal” Wednesday, also happens to be the 40th anniversary of my great grandpa’s passing. Husband and wife are together again in heaven, and that makes my heart extremely happy. At that, I find myself rewinding from thoughts of being a mother to thoughts of being a wife, something else in which I have no idea what God is planning for me. But I want to be a wife, and mother, more than anything… Which is something I am just now beginning to admit. Looking back, I think all of the changes I’ve made in my life along with the changes that have been thrust upon me have all factored into that desire, although I didn’t know it at the time. I’ve learned that family – past, present and future – is everything. As upsetting as it was, my great grandma’s passing made my future (at least what I want out of it) a little bit more clear. For that, I am grateful. I am actually the youngest of four generations, including my mother, grandma and great grandma, all exactly 25 years apart. The passing of our matriarch laid the foundation for the three of us still on earth to grow into our new roles, in which we have plenty of time for preparation. Until then, I know my great grandma is smiling up in heaven as she plays with my future children and they all eagerly await the day God reveals to me the man I will spend the rest of my life with. Such a great pic – my condolences!